Troy Fiber Cement Siding | Troy Cement Siding | Troy Cement Board Siding | Troy Cement Lap Siding | Troy Cement Panel SidingMcGlinch & Sons CO. Choosing cement siding can be a daunting process, at McGlinch & Sons we want to take the pressure and confusion out of selecting a premium fiber cement siding product. We have provided beautiful cement board siding to hundreds of customers in the greater Troy area and want to be your choice in cement siding remodeling as well. Our reputation for quality and excellence in customer service has been unmatched since 1917. Traditional and timeless, the long-lasting durability of cement lap siding will be a beautiful addition to any new home construction or re-siding project. From smooth finish to beaded cedar mill finish, McGlinch & Sons has the versatile patterns to match your unique style and personality. Ranked as the number one safest city in Michigan, Troy located in the northern suburbs of Detroit has a population of over 80,000 residents. Troy is the largest city in Oakland County and the leading business and shopping destination. Home to a vibrant and diverse international community creating strong neighborhoods, top-ranked schools, and outstanding city services. In Troy and the surrounding community, residents know that the first name in cement siding is the quality product from James Hardie provided exclusively by McGlinch & Sons. James Hardie fiber cement siding products were invented over 30 years ago and are made to stand the test of time. Specially formulated to resist damage from moisture, freezing temperatures, pests and fire than traditional wood and vinyl siding products, cement board siding and cement lap siding are the first choice in cement siding. The experts at McGlinch & Sons can show you how affordable and easy re-siding your home with customized fiber cement siding is by calling them today at (248) 987-6300. 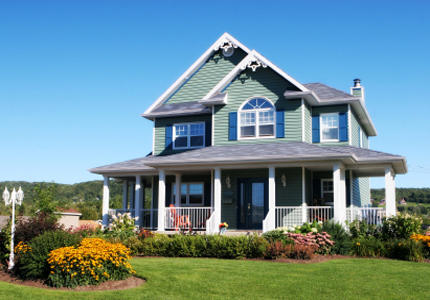 We guarantee you will love the look and performance of cement siding. Tested and proven to stand the test of time and the elements, McGlinch & Sons is the one to choose for cement board siding!